Reliability Analysis Software, ITEM ToolKit is a suite of comprehensive prediction and analytical modules all in an integrated environment. ToolKit is an integrated environment benefiting from object-oriented architecture that delivers Accuracy, Flexibility and Ease of Use. It offers you convenient features that provide a consistent format for all your analyses. This enables learning carry-over from one module to another. ITEM ToolKit has standardized many critical functions, shortcuts, and other features that operate identically in each module to save time and effort, increasing your productivity. Whether you are starting a new analysis or using different modules, the essential functions remain the same. In addition to the standard features, each module functions independently (or linked with others), having its own unique features and functionality. ITEM ToolKit uses globally recognized standards and methodologies to analyze components, systems, and projects. 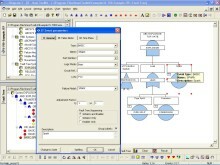 It allows you to take a total system approach in analyzing individual systems and components. This allows you to optimize your design targets with respect to component selection, increased safety, and reduced liability. No other reliability analysis tool offers the diverse User Interface as ITEM ToolKit. You can create and analyze multiple systems and projects at the same time, share project files and libraries with other engineers, or departments. Drag and drop components and systems between projects. You can analyze Reliability, Availability, Maintainability, Safety and Risk of components or systems and view the entire project. Download a free demonstration of our Reliability Analysis software: click here.